Telling people how to work isn't HR's business, but you can help educate employees on different styles of working. Whether it's Getting Things Done or The 4 Disciplines of Execution, there are lots of productivity philosophies. Some may work for your team. 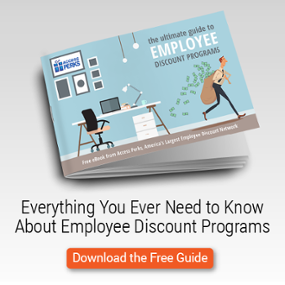 We'd like to help you learn a bit about those systems so you can help educate your own office. You know by now that your office is an ecosystem of its own. There's a lot of work that happens, but the best offices also have some "other" stuff. Like volunteer opportunities, educational opportunities, water cooler chit chat. You know, the things that get people out of their cubicles. We know now that the farther past 40 hours an employee goes, the less productive they become. But how do you tell someone not to work? Where's the balance between productivity and slacking off? Well, one idea is to present employees with a productivity system that encourages a balance of both. Maybe what your employees need is a little bit of Pomodoro. That's not a hair style, it's a productivity method. Pomodoro Technique is a way of making work less intimidating by breaking it up into blocks - 25 minutes of focused effort on a single project, then 5 minutes off. During those 25 (or however long you choose) minute bursts, you note distractions on a sheet so you can circle back to them during your breaks. Once you've knocked out four Pomodoros, take a 20 or 30 minute break. 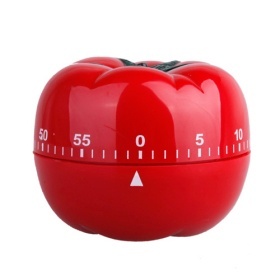 Developed by Italian time management expert Francisco Cirillo, Pomodoro is named after a tomato-shaped timer he used in college. The tomato has now become the de facto logo and visual for all variations of Pomodoro Technique. The Pomodoro Technique is effective for a few different reasons. Two, it makes work seem more doable. It's hard to talk yourself into beginning a massive project that you know will take 5 hours. But 25 minutes is doable. Then 5 minutes for whatever - Facebooking, chit chat about last night's game, foosball. Then, back to another 25-minute burst. It's hard to get burnt out in the system, and it helps keep brains agile and refreshed. Three, taking note of distractions actually helps eliminate distractions. Yeah, someone on Facebook wants to chat, but you'll get to it during a break. You'll learn that most things can wait. There are some drawbacks. It can actually work against "flow" state - those deep, focused work binges we sometimes get on, which are good and rare. And it can be hard to walk away from those five-minute breaks. But it's a system that will benefit the modern employee. It won't solve overarching organizational issues, but on an individual level, it can make a huge difference. The Pomodoro Technique book by the founder is a whopping $88, but there other resources available at http://pomodorotechnique.com/book/. There are many other books on the technique available online. There are some great Chrome and Firefox Pomodoro plugins, but my favorite is Strict Workflow. 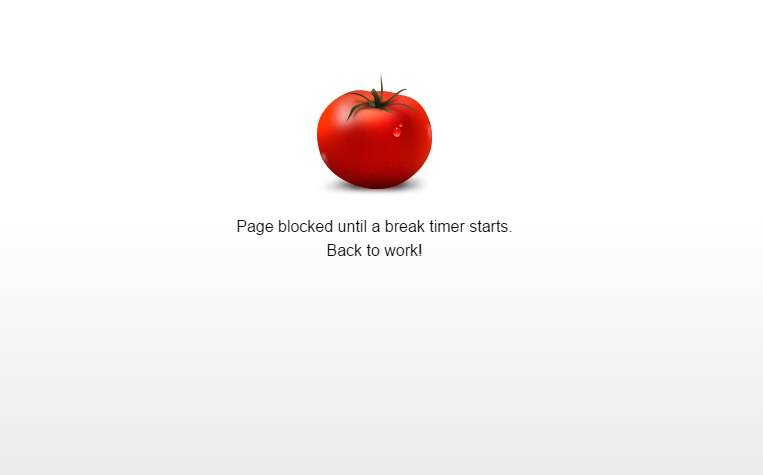 This plugin places a tomato icon in your browser that, when clicked, starts a timer and blocks distracting websites like Twitter and Facebook. When the timer expires, you get a short break and all those websites are unblocked. The timing is customizable, as is the list of blocked sites. The always-reliable Lifehacker blog has a Pomodoro category with reviews, how-tos, apps and more. There are many mobile apps that integrate to-do lists, progress tracking (see how much time you've spent on a specific project, for example), custom sounds and more. Check out Be Focused for a free option. The Pomodoro Technique works for millions, and is especially popular among writers and software developers. But it can be applied to any worker who needs help focusing. The technique's use of breaks helps keep the brain from spazzing out, and it helps employees feel okay about visiting the coffee pot or taking a stroll outside. Like any productivity method, most people will find that they like certain elements of it and others not so much. But organizational leaders and managers would do well to keep it in their pockets to help employees reap the benefits of balance.